Gordana Nenadovic will be a special guest at St. Sava Serbian Orthodox Church in Merrillville, Indiana for an exhibition to share her works of art and icons taking place Sunday, January 29, 2017. The works of art will be on display during the annual “St. Sava Day Celebration” luncheon and program where the youth of St. Sava Church will sing songs, recite poems, and showcase traditional folklore dancing. Nenadovic is an artist, professor, and noted icon painter living and working in Chicago. Her work has been exhibited in the US, Canada, Germany, Russia, Switzerland and throughout many cities in Serbia. 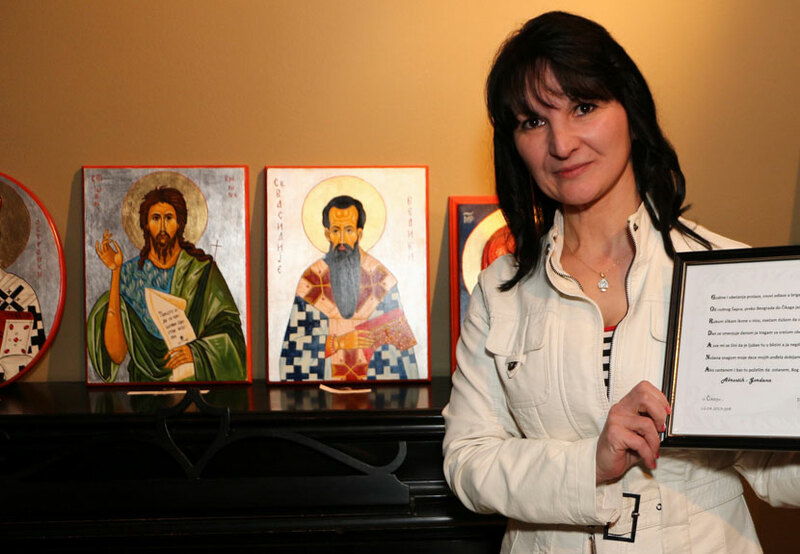 She utilizes all painting techniques in her work, but her most unique and original gift is primarily icon painting. She specializes in Byzantine style icons. Her paintings radiate eternal light, express deep feelings and the affinity for unusual expression. In all of her art pieces it is immediately visible that her sensitivity reveals a hidden deeper layer of the image in which there is true spirit. Nenadovic’s artistic skills also include wall mural decorative artistic painting. 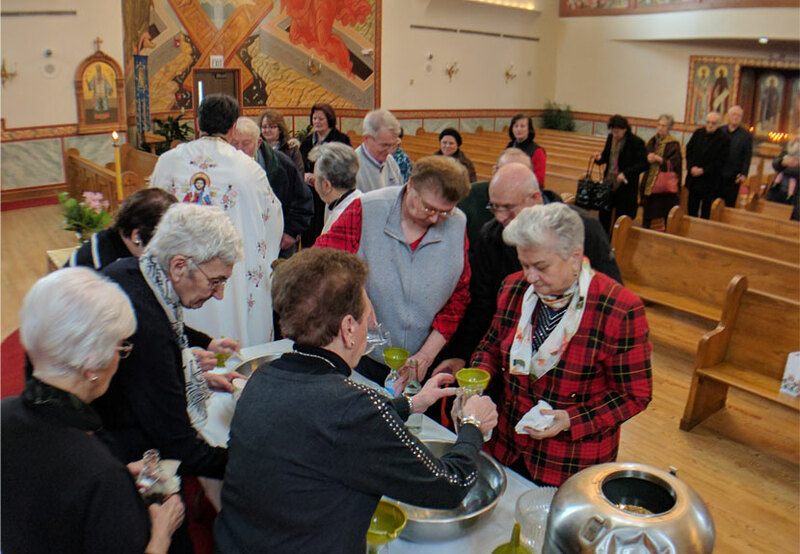 Everyone invited and welcome to attend the luncheon, watch the special St. Sava Day Celebration programming, and view Nenadovic’s iconography. More information about Nenadovic’s work is available by sending e-mail to gordana262@gmail.com.